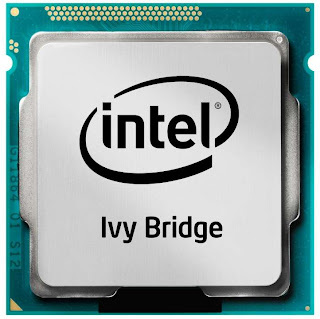 The last branch of Intel's Ivy Bridge CPUs is available on the market and ready for the benchs, the core i3 third generation promise a great performance for a reasonable price tag thanks to the new 22nm process technology used inside, so at this new "all in one review" we will concentrate on the released Intel Core i3-3220 CPU which is already tested on more than one location, put it in a comparative with the exact previous reference i3-2120 from the second generation Intel's Sandy Bridge CPUs which are based on the 32nm process technology. 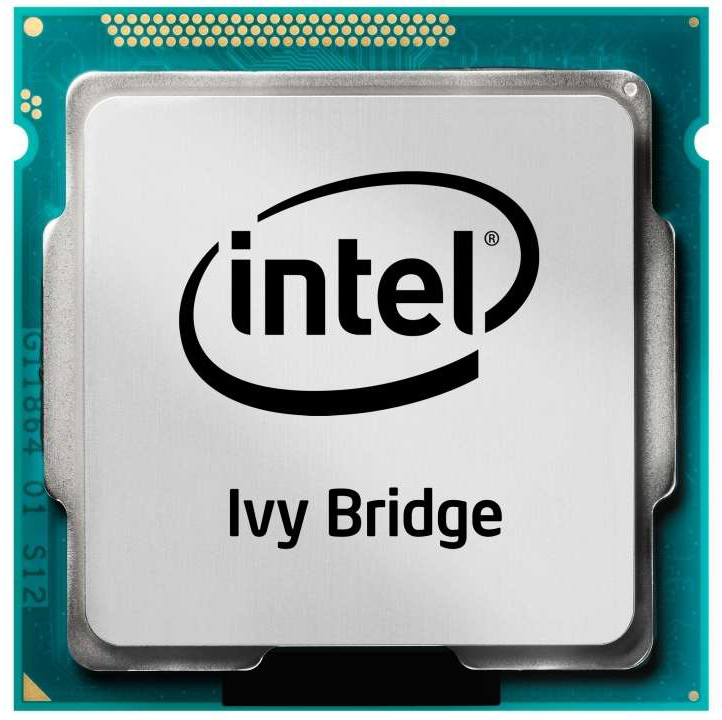 Ivy Bridge architecture, Whats new ? 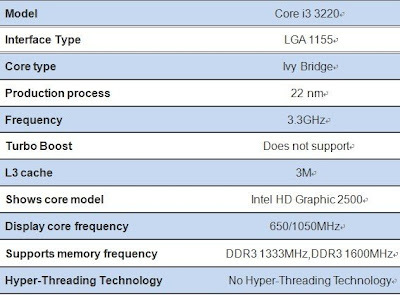 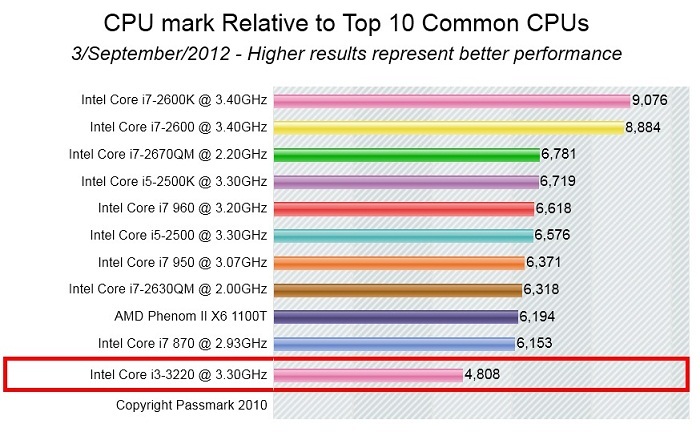 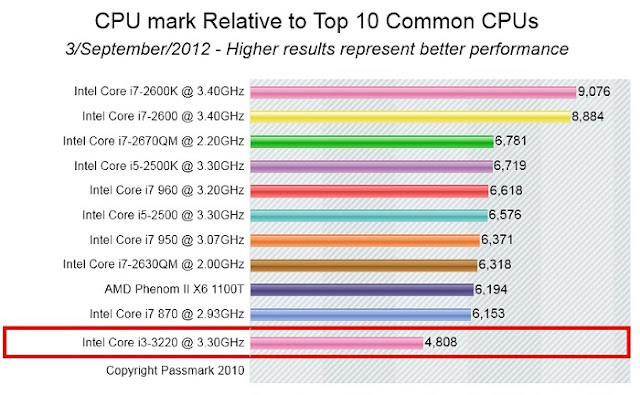 "Ivy Bridge" is the latest and third generation of Intel Core processor packing the i3/i5/i7 series, the new generation is labled ix-3xxx on the three series and is based on the new 22nm process technology wich promise a lower TDP and higher performance and higher frequency achievements. 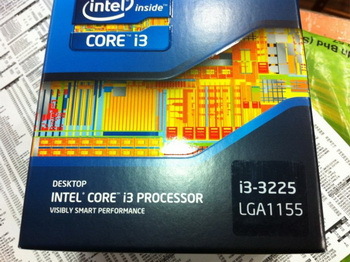 The new architecture also use the tri-gate ("3D") transistors which use a 3-D built transistor fabrication allowing up to 37% higher speed, or a power consumption at under 50% of the previous type of transistors used by Intel, the new processors require a LGA 1155 socket and the latest series 7 chipset or a BIOS upgrade for some X6 intel's chipsets, the new generation promise from 5 to 15% of performance improvement over the precedent generaion in CPU. 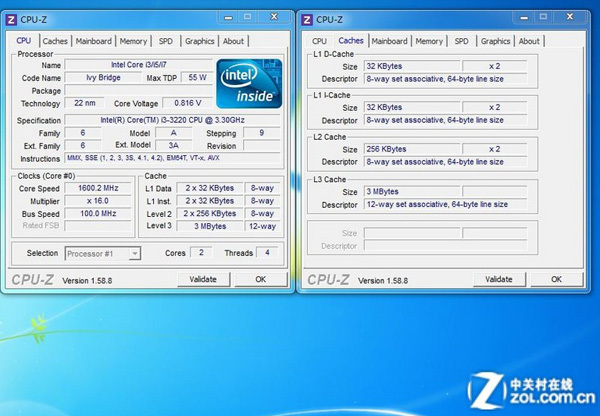 Intel HD Graphics with DirectX 11. 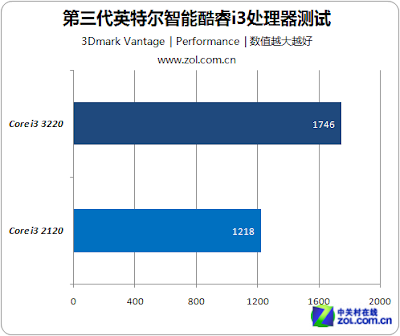 USB 3.0 and SATA 6.0 ready. 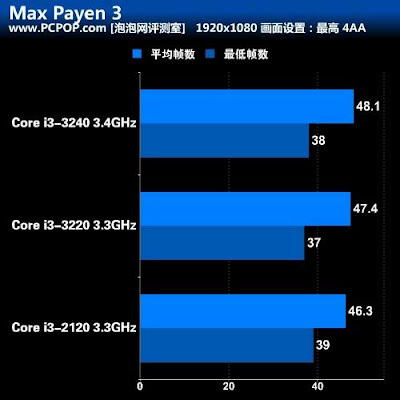 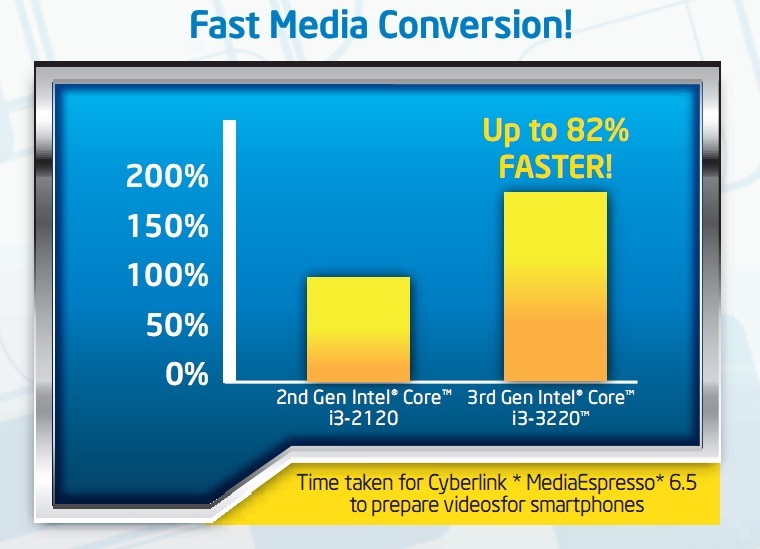 The i3-3220 got the same specifications as the precedent generation with no turbo boost features, 3MB of cache, the same 3.3Ghz frequency and the same HD2500 graphics chip. 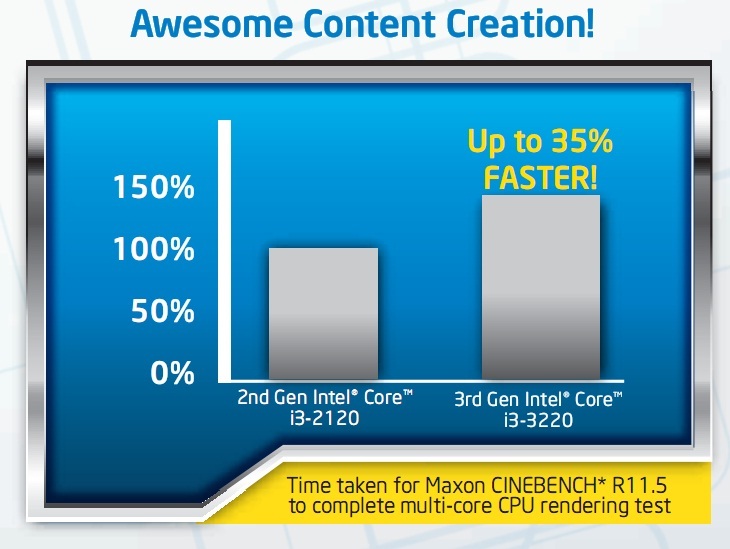 For only 129$, this CPU can do the job and more, more than perfect for HTPC and a green chip that love nature, you can share your thought on this new generation. 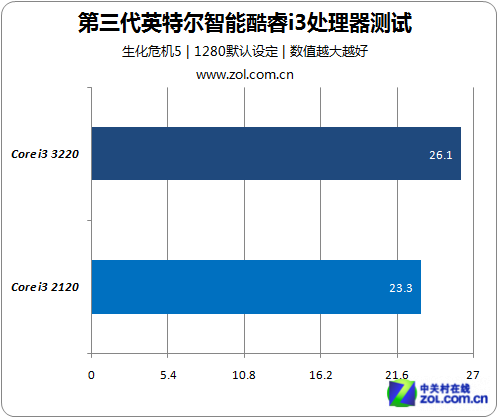 Here are some official benchmarks leaked from Intel, comparing the i3-3220 versus the i3-2120 CPU with different benchmarking softwares, the difference between the two processors is clear, the i3-3220 reach up to twice the performance of the precedent generation i3-2120 according to Intel make it a big deal for your wallet. 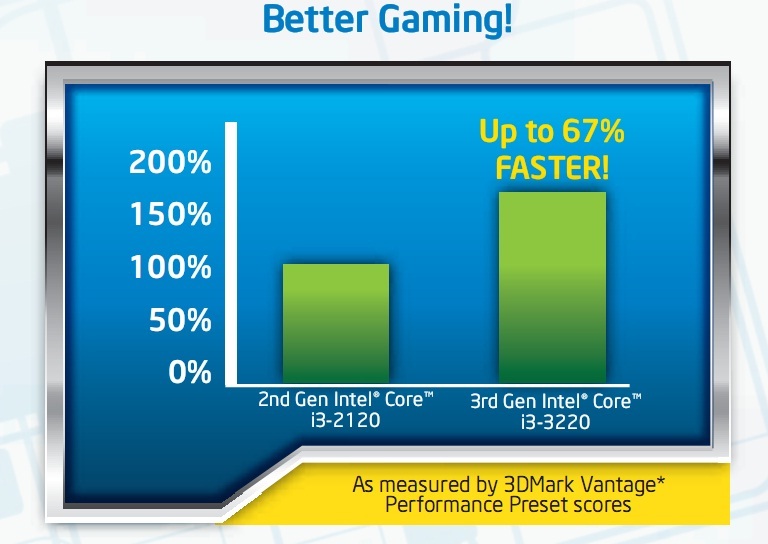 Graphics: Integrated Intel HD Graphics 2000. 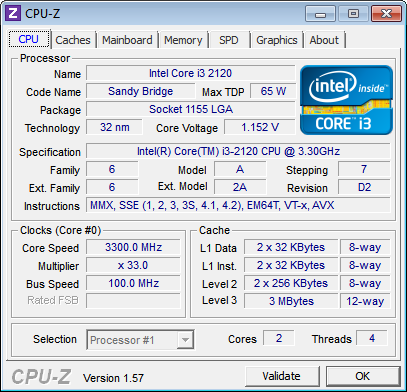 Memory: 4GB (2x2GB) dual channel Micron DDR3 1333 9-9-9-24 Memory. 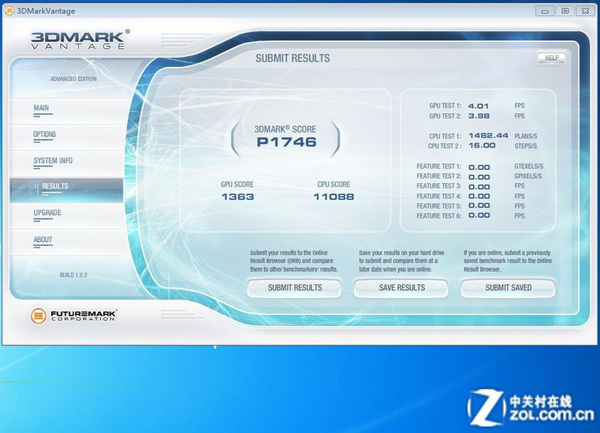 Hard Disk: Seagate ST31000528AS Barracuda 1TB 32MB cache 7200 RPM. I was supposedly "upgraded" to an i3 2120 from a 3220 for $1.00 by a dealer, did shoot myself in the foot? 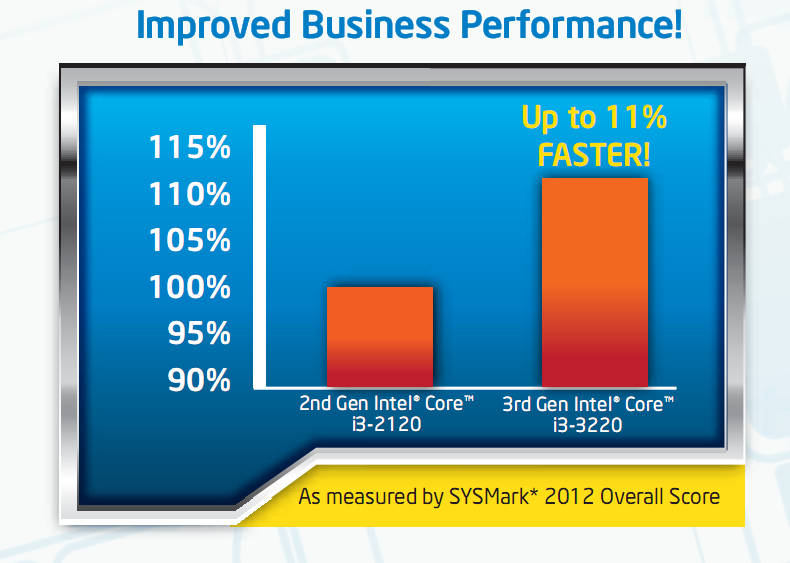 Reading up on you article the 3220 was a better choice.